Below are 15 types of USP:s listed that can be used by creative professionals. Invent your own variant or mix two together in a way that only you can offer or be the first to claim – in your particular niche. A strong USP doesn’t take the competition head-on, it ducks it. Outstanding Outcome. Over and over, you deliver the results clients crave and you have the proof to show for it. You back your claims with statistics and case studies. Example: In their case study Uppercut boldly states their success for a past client: “426% increase in monthly visitors, 245% increase in newsletter subscribers” etc. A unique feature of your product or service. David Michael Moore, an illustrator specializing in speakers and thought-leaders, offers “graphic recording.” David captures paneled discussions and other impromptu sessions in illustration – live! David doesn’t explicitly use “live illustration” as his USP, but it could be. A complimentary add-on. Clearly state what extras your service includes. Maybe you are a content writer who includes a free SEO-check of the pieces you write. More industry experience than anyone else. You have worked with a lot of clients in your particular niche. Longstanding experience. You have worked in your creative discipline for ages. A signature style. You have mastered an easily recognizable, unique aesthetic style. 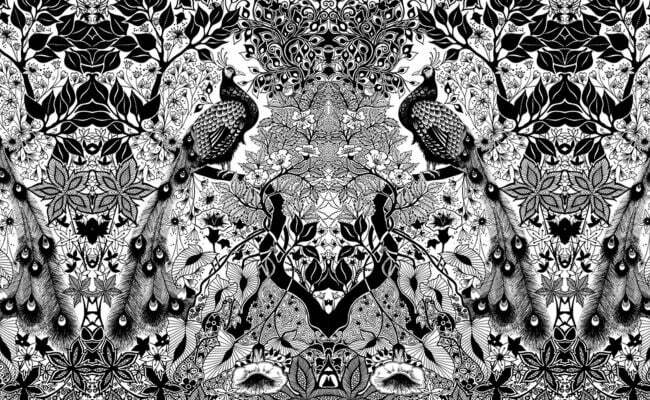 Example: Johanna Basford, the “ink evangelist”, who creates intricate hand drawn illustrations in black and white. A unique service bundle. You deliver a unique combination of services. You might be a writer who ghostwrites blog posts but also does SEO and graphics for content marketing. An outstanding level of customer service. For example: You offer fast turnaround, 24/7 support, 10 minutes response on emails, return calls within 1 hour, a preliminary draft in 48 hours, proposals within the hour or unlimited revisions. 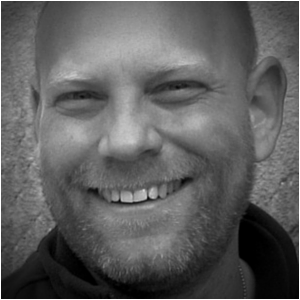 Example: Marty Daley, a graphic designer who specializes in promotional materials. His promise? He traces a low-resolution logo within 30 minutes. Total Brandits offer unlimited revisions. Extreme specialization. You only work with clients from a tiny part of the market or with a specific type of problems. You have gone so narrow it almost hurts. 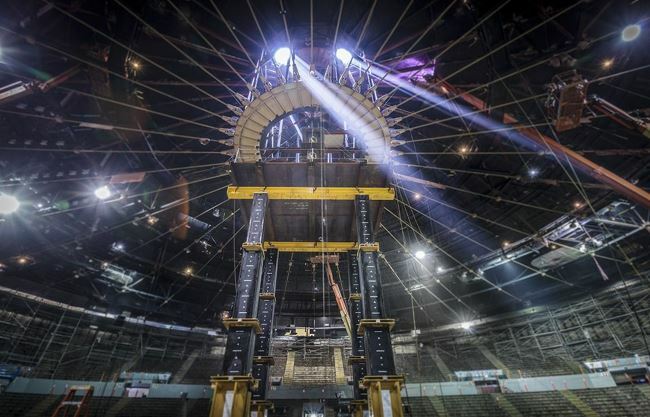 For example, Michael E. Stern, a photographer who only does time-lapsed constructions videos. Raving testimonials, ratings or reviews. You have loads of clients praising your services with a clear and loud voice. An impressive client list. For example, you have done extensive design work for several, famous, prestigious brands. Apple, Google or Porsche – been there, done that! Awards. For example, you have won multiple prestigious design awards. Do awards matter? Agency clients might think so. End clients will probably care less. Proximity. You are the only one who is geographically close to your clients. Maybe you are the only web designer in town. You can offer face-to-face meetings, standby services or on-site work. Work of an outstanding quality. If the quality of your portfolio is truly out of this world, you might have a shot making “quality” your USP. However, most likely you are in for a very tough ride. Not recommended. After all, no one else is like you. When you’re working directly with clients, it’s perfectly reasonable to include some personality. Industry authority. You are a high-profile individual with lots of authority in your industry. Your authority might stem from being a published author, a popular blogger or a frequent speaker at industry conferences. You might be a board member of several industry associations. Personality. You might not be famous, but you may have a fantastic personality that makes you an absolute joy to work with. Or you might have a personal style that really resonates with a particular target audiences. Maybe you are a bad-mouthed, entertaining freelance illustrator like Mars Dorian or a bold, snarky, over-the-top copywriter like Ashley Ambirge. Your personal background story. Look at your past! What led you to where you are today? Can you create a compelling story about yourself that people would love to spread? Complementary expertise. You are the only graphic designer with a degree in hospitality management. Or maybe you are both a creative director and a commercial pilot. You might be a web/graphic designer who also knows a lot about horses. A diverse set of creative skills. Maybe you are a cross-media ninja? For example, you might master both 3D-animation, video production and web design. Full-stack. Maybe your are a true renaissance man or woman who is able to able to take a project through to completion on your own. Whatever the project needs, you provide it. Web development, logo design, video production, copywriting..! Whatever USP you pick, consider tacking on a guarantee. That will make your USP even stronger. Money back guarantees: Shawn LeBrun, a direct response copywriter, guarantees 10% more responses on existing sales copy – or you will get your money back. However, he also clearly states under which conditions the guarantee is valid and sets him up for success in the process. Guaranteed outcome: You promise to tweak your deliverable until it hits the goal. Guaranteed quality level. A web developer may offer a clean code guarantee. A content writer could offer a no spelling mistakes-guarantee. Spice the guarantee by a $10 discount for every spelling mistake the client finds. A no fuss return policy. If you sell physical products. Rock bottom prices. For most, a USP based on low or the lowest price is a really bad idea. It might be a viable option if you work from a cheap country. Even if you target price-sensitive clients, it’s better to give them another reason to hire you, e.g. a guarantee. High price. Higher prices than average could be an indication of quality. For a freelance creative USP:s is a niche game. 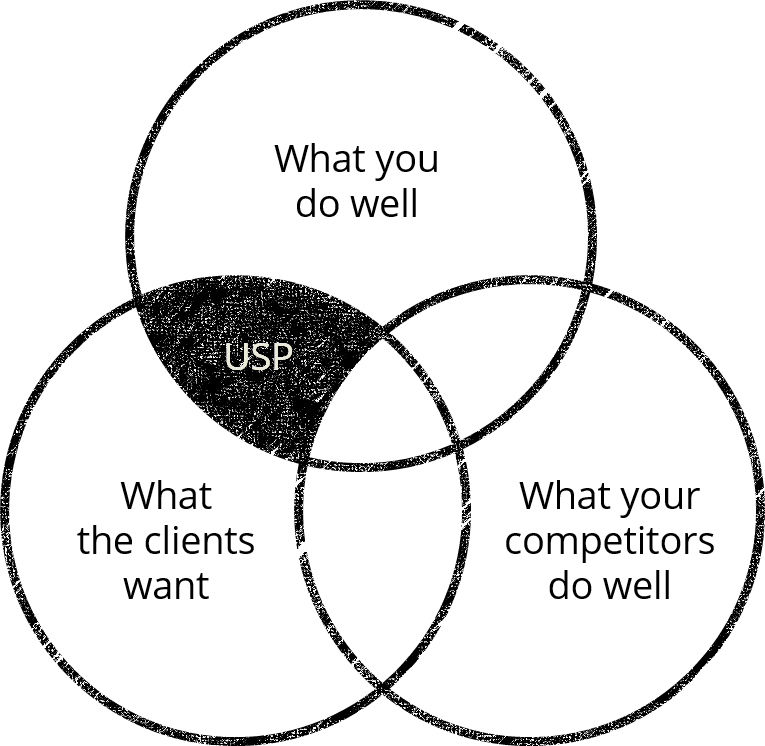 Your USP only needs to connect more strongly with your ideal clients, and not so much with others. You are not trying to please everyone. 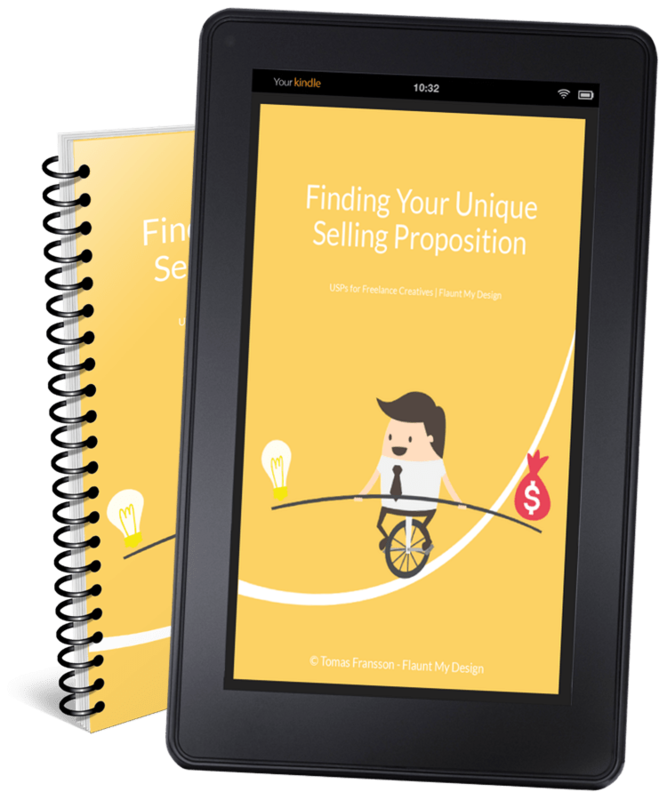 As long as your ideal clients really care about it, you might consider anything as your USP. 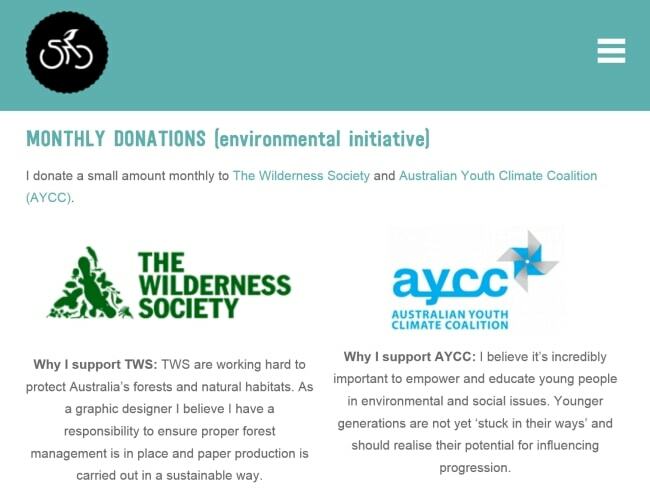 For example, if your niche is web design for churches, donating a percentage of your fees might be a viable USP.